Harvey P. Bissell, once a power in state and town government, would probably be surprised that his name is known today only as a pharmacy. 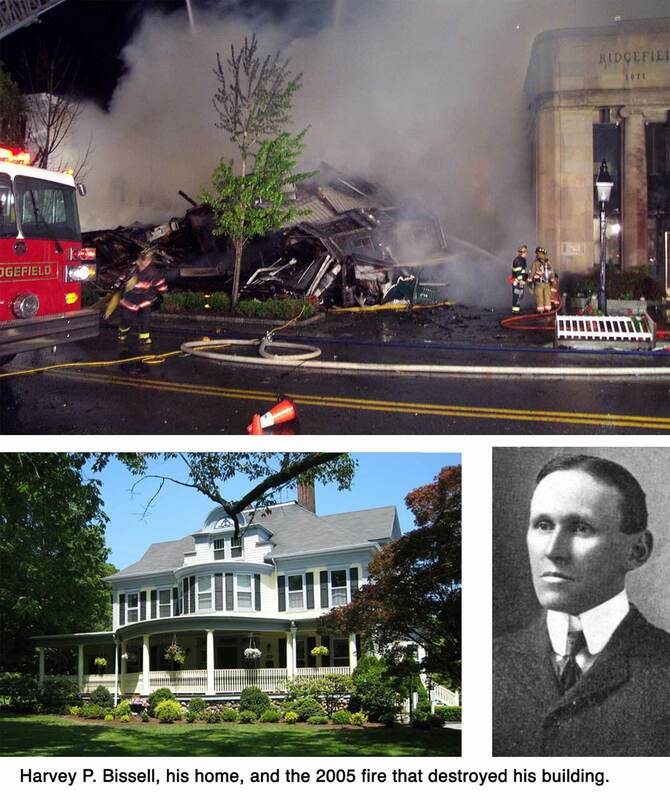 But the druggist-turned-politician would no doubt be pleased that his business is not only still alive, but is the oldest continuously operated retail store in Ridgefield. “Mr. Bissell was an indefatigable worker for his party and was highly regarded all over the state,” The Press said at his death in 1930. Born in 1866 on a Morris farm, Harvey Platt Bissell was educated as a pharmacist and came to Ridgefield in 1895 to buy the Main Street store and pharmacy that had been established in 1853 by Hiram K. Scott. 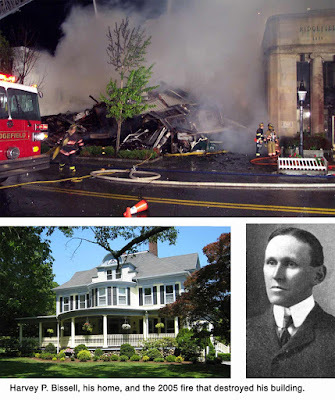 Some may think he picked the wrong time to buy the business for four months later, it burned to the ground in the great Fire of 1895 that destroyed much of the village business district. Undaunted, Bissell built a new building that was long known as “the Bissell Building” and housed his pharmacy and at least one other business — for many years, it was an auto dealership and repair garage, and later, Brunetti’s Market and then Gail’s Station House restaurant. Harvey Bissell began his career in Connecticut politics in 1901 when he was elected a state representative from Ridgefield, and later state senator for three terms from 1914 to 1920. In the Legislature, he was involved in reforming the State Health Department and narcotics laws. He was elected state comptroller in 1921, serving two years and gaining a reputation for efficiency. 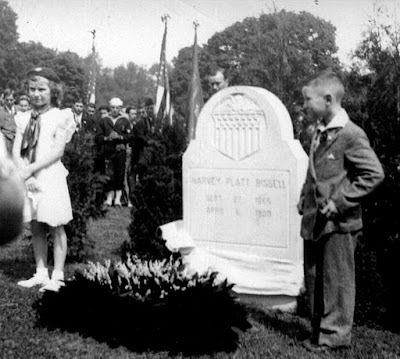 He served on the Ridgefield school board, and was a member of the Republican Town Committee for 16 years. He was also a burgess of the Borough of Ridgefield, back when we had borough covering the village. Two weeks before Warren G. Harding died in 1923, the president named Mr. Bissell collector of customs for Connecticut. Calvin Coolidge reappointed him in 1928, the same year he finally sold his drug store. On the day of his funeral in 1930, the State Capitol closed in his honor. His handsome home on West Lane is now the West Lane Inn. At Harvey P. Bissell's funeral in 1923.